Our guest this week is quilt artist Deboral Krajkowski. Deborah is owner of QUILTOGRAPHIC a home-based, longarm quilting service located in Stuart Florida. Deborah made her first quilt over 30 years ago – she wanted to make a quilt for her first child. 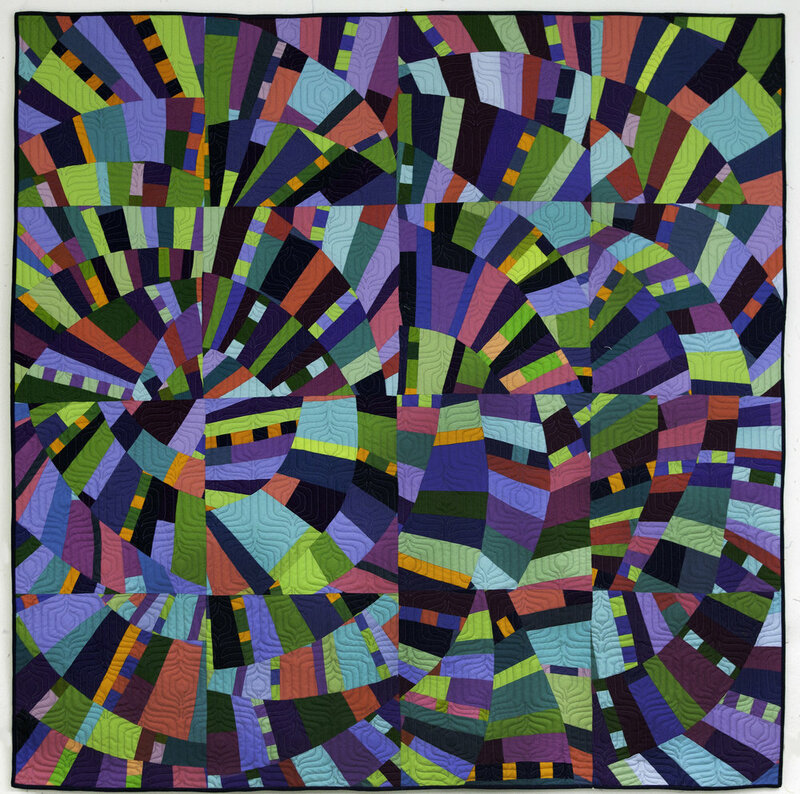 At that time, she never realized how important quilting would become – artistically, socially and professionally. Living in NJ, she had the opportunity to attend lectures and take workshops from a multitude of nationally renowned teachers, as well as enjoy quilt shows and art exhibits throughout the metropolitan area. As an adult, she returned to college and earned a degree in art, focusing on textiles and photography. She has taught in local quilt stores and night schools, won ribbons at shows, been published and has sewn samples for several quilt markets and quilt vendors, as well as presenting lectures and workshops at quilt guilds. These experiences, combined with a lifelong love of learning, have inspired Deborah and led her on a journey of experimentation and discovery. She has completed hundreds of quilts and loves all kinds – from traditional to modern to art quilts. 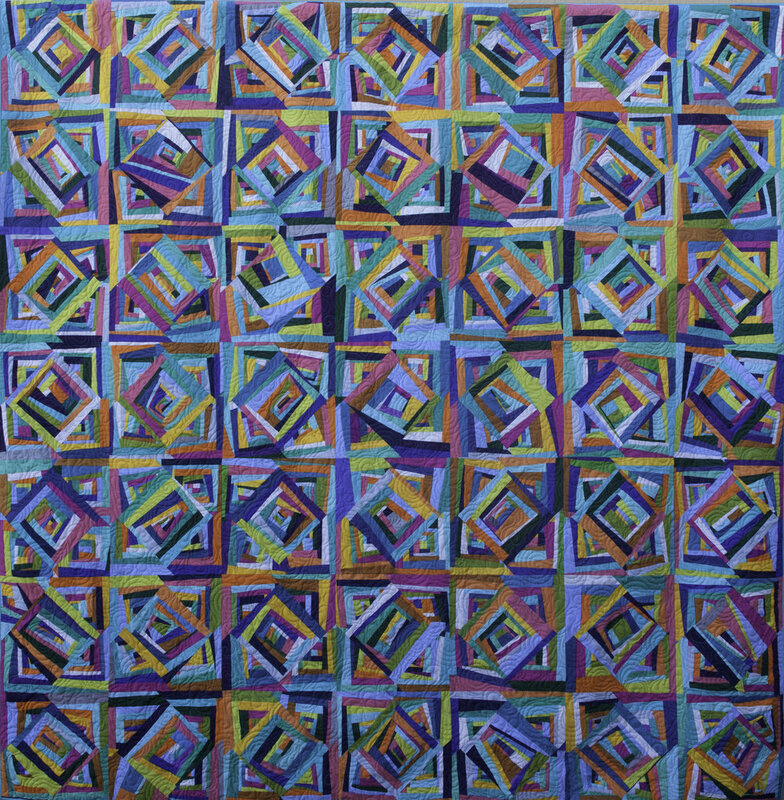 Let’s learn more about her quilts and her process. Many people think of improv as a style of piecing but it also a way of designing. I like to let ideas flow spontaneously on the design wall, growing and developing. The design wall is a valued tool. I always want to make a quilt that is my own, not from a pattern or someone else’s design. I began quilting in the 1980s and have experimented with many quilting genres. 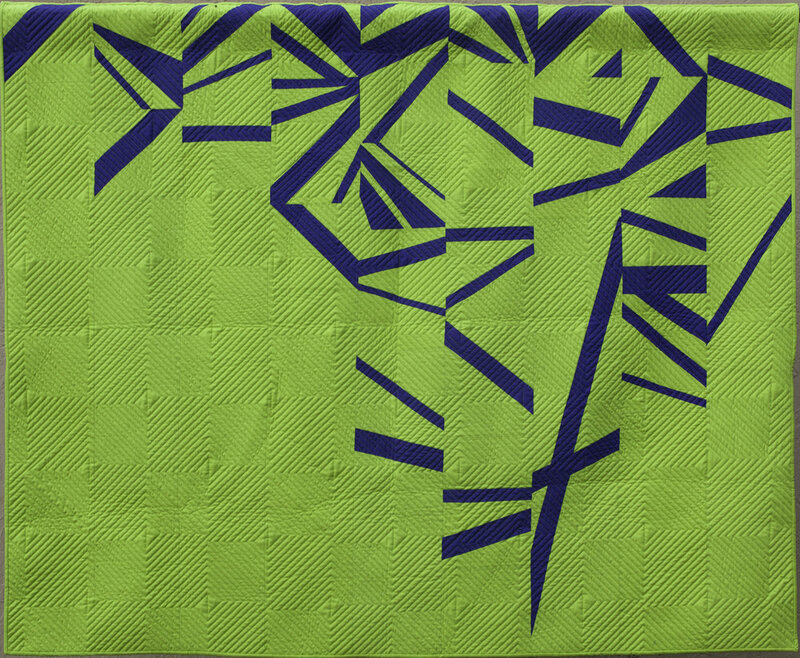 As a young quilter I focused on my craft, trying to cut and sew accurately and make my points meet properly. I yearned to make every traditional design I saw. In the 1990s, I took a class called Freedom Quilts with Diane Rode Schneck and we made improv log cabins. Oh no! I totally didn’t get it. I was working so hard on precise piecing and making a certain type of quilt that improv was lost on me! It took a few more years before I discovered Gwen Marston’s books. And then I took a workshop with Sandi Cummings. Her process opened my eyes to breaking the grid and adding small improv elements to my traditional blocks. Baby steps. Sometimes I have an idea in mind and I work in that direction. More often my quilts are the result of experimentation. Making blocks, moving them around. Adapting how I make the blocks (perhaps changing the scale or orientation), make more, assess, repeat. I am conscious of where I want the viewer to look, how to move the viewer’s eye across the surface and keeping the attention focused inside the piece. I continue to work in many different styles. A lot of my recent work has been improvisational but I also work with more traditional piecing, designed in a more improvisational way. Improvisation is always a welcomed partner. When starting a project, I limit my choices and make rules. Sometimes I purchase solid fabric bundles and limit myself to those colors. Other times I choose a shape or block to explore. Sometimes I have other artists working in my studio and a dialog begins. There are so so many possibilities and that is often more intimidating than too few. Finding a way to focus and move forward on one idea is infinitely helpful. When I am in the zone, I try to work as much as possible to maximize my productivity. Where isn’t there inspiration? The trick is to keep your eyes open and really see. To take a minute and breathe it all in and not hurry past. 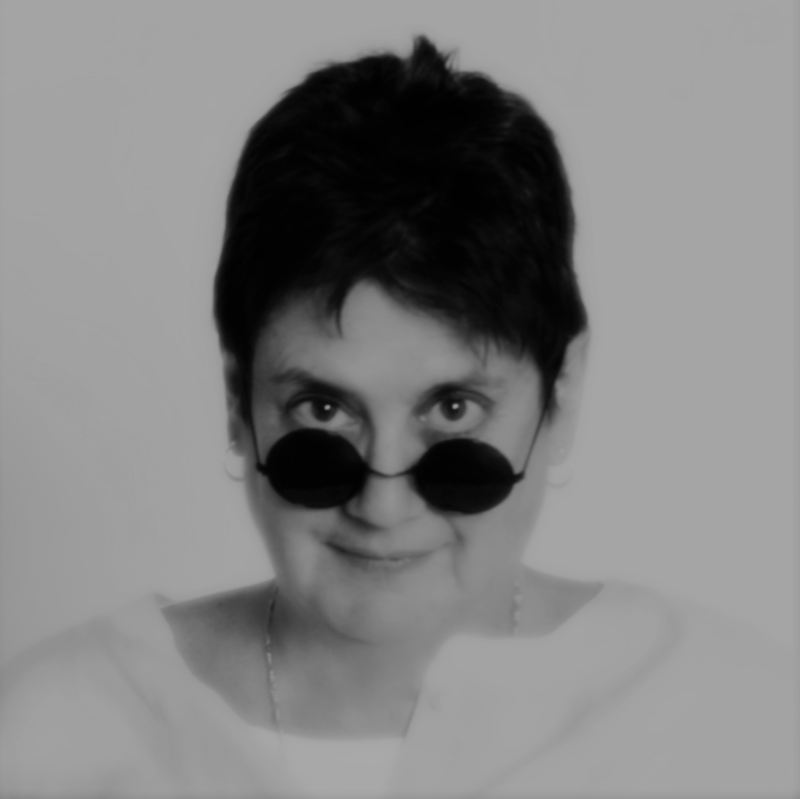 I continually look at the work of others – quilts, photography, modern art, sculpture, books. You were sewing now. Now. NOW! There are times when I spend less time quilting and focus on photography. I enjoy shooting abstract images, everyday items but so close up they are unrecognizable as what they are. Photography sharpens my ability to see, to frame and focus. Working in another medium hones my senses. I love to quilt! The part of the process where the three layers become one object and an additional design element is applied to tie it all together. The quilting process is of utmost importance to me. As a longarm quilter, I am looking at the work of others, some traditional, some more modern or focused on art quilting. The variation of the styles brought to me is challenging and inspiring, sometimes daunting. It is amazing to see a quilt before and after it is quilted, so much life is added in the process. But it can go in several directions so spend a moment to think about this. A so-so top can become fabulous. I collaborate on the quilt design with my clients, many of whom do not think the quilting is an important part of the design process. There are so many ideas to explore in the quilting process and it is so often overlooked. There is a dimensional aspect to consider. That ending part is so fun and happens quickly for me – quilting and binding. It is very satisfying. Quilting others work lets me explore a range of finishing options that inform my work. Thank you Deborah! I think it is important to have some creative play in our everyday, and your finger painting idea sounds like a really wonderful way to explore and play. Limiting choice and making rules is how I start often too and I love the idea of working with a precut bundle, and your idea to invite others into your studio to start a new, different dialogue or add to the one you have started is simply brilliant. I have a few artists in mind to invite right now!!! When they read this they will probably know who they are, and if ever you are in Indianapolis you are always welcome too! Thank you again for sharing with us and joining this discussion, I have found it so inspiring and I know others will too! To find out more about Deborah, her work and her process, check out her website and find her on Instagram.